We have reviewed atleast three books on Fundamental analysis: One Upon Wall Street – Peter Lynch, Intelligent Investor by Benjamin Graham and How to Avoid Loss and Earn Consistently in Stock Market by Prasanjit Paul . Hence I wanted to give you a neutral perspective and show you the other side of Fundamental Analysis. Warren Buffet, Peter Lynch, Philip Fisher and many market stalwarts claim investing in stock markets is simple, logical and common sense. If it is so simple, why do we not see more stock market millionaire than a handful of people in several decades of a stock market across several markets. Why is it that most of these people have created wealth by managing funds for other people and did not solely grow their own capital? Stocks and Forex markets are more or less a zero sum game. So if fundamental analysis is so basic and obvious, who sells when Fundamental Analysts buy and who buys when fundamental Analysts sell? A very simplistic answer for this question would be ‘A trader who follows price’ or a Technical Analyst’. I’ve heard many people say that ‘I have not heard of any rich and famous, technical analysts, but everyone knows, World’s richest Stock Investor, Warren Buffet.” I thought so too until I studied it further and found several stock market wizards who have made fortunes in the market like George Soros, Jesse Livermore, Ed Seykota, Richard Dennis Etc. Many of them have grown their account from a very small sum to gargantuan amount without any outside funding. Fundamentals are based on published financial reports. It is hence very late to react. By the time sales/profit have started falling or raising, it takes atleast a quarter or two to reflect in the fundamentals. Price most often reflects these changes way ahead of the financials. Fundamental analysts do not have a predetermined stoploss but exit based on changed circumstances, the news of which are always late to reach a common/retail investor. 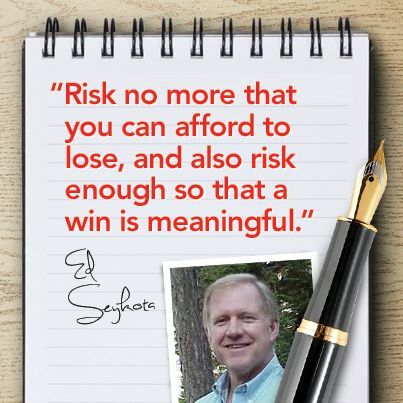 This makes the risk management of a risky asset(equity) subjective and fallible. A fundamental investor has no edge over an insider. An insider (someone who has inside knowledge of the management) always knows more about the company and is quick to add or exit his positions. A technical trader who follows only the price is often able to jump in or out with the insider. The accounting numbers and quarterly guidelines are not too difficult to fudge and mislead. Until the last week of Enron bankruptcy, Banks were still coming up with a Fundamental ‘Buy’ recommendation while the prices where hitting new lows everyday. Huge wealth built by Warren Buffet has two important parameters, one is the free money that is available through his insurance business and the other is that his long life, which has allowed the magic of compounding work . I do hope all of us live that long and are that patient, but I doubt that is the dream most of us have. As for free money, fat chance. Fundamental Investing intends to do only one thing, Buy an undervalued asset and wait for it to get fairly priced. This is an idea that would work only in a bull market, i.e a market that is going up, while we have three kinds of market, Bull (going up), Bear (going down) and Sideways (stuck in a range). There are people that made fortune in 2003 dotcom crash, 2008 financial debacle and the two decades of falling markets in Nikkei (Japan). People with a buy and hold strategies lost fortunes which were amassed by the technical shorters. So should we switch over to technical trading completely? Not unless you intend to put long hours of work to learn and several hours of consistent efforts to practice. Not to mention the mental acumen required to constantly take market feedback and change course. Should I turnover my money to a money manager and ask them to handle it? While it absolves you of the responsibility of taking decisions on a day to day basis, the results will still be limited to the decisions taken by your money manager less his fees. So how about Mutual Funds? ‘Mutual Funds sahi hai’ ..is’nt that so? It is no different from the above. More over a mutual funds has several statutory restrictions aimed at protecting the capital of retail investors but also tends to make the performance average. So how about Index Fund? Even Warren Buffet and Graham recommends that..isn’t it? Index is a random collection of stocks that are performing well (meaning going up over the recent past). The Stock Exchanges often replace an under performing stock with another that is performing well. When that happens an index fund has to dump one stock and buy the other at the prevailing prices, the index will not reflect this switching cost, however your index fund will. Should I shun equities completely? It sounds so risky!! Unfortunately that isn’t an option either.While you only risk losing money by investing in the stock market, you’ll definitely lose by not investing in it. Although at present, India is one of the very few economies that have a positive inflated adjusted return on Bank Deposits’s, the scenario is indeed quite rare and probably will not last forever. Every method works in its time frame and with it necessary discipline. Practice it. 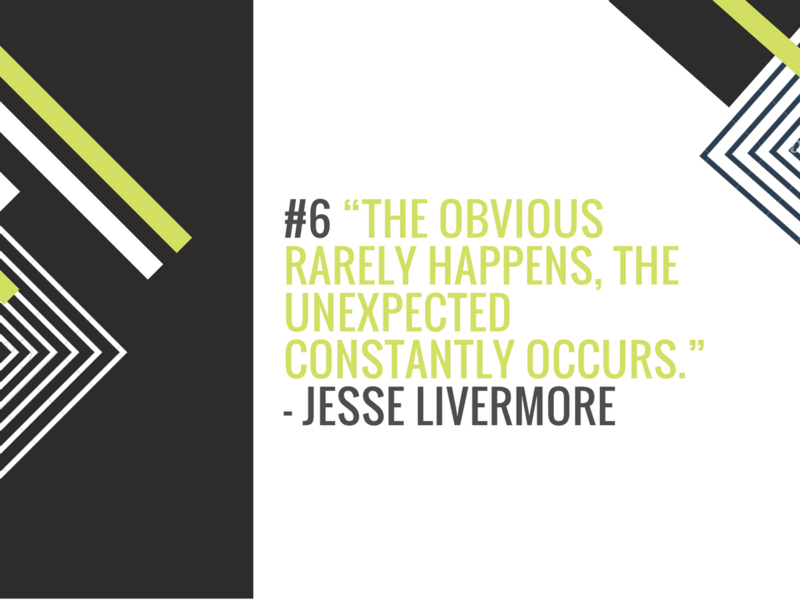 Think in terms of probabilities. Be prepared to be wrong, for not all your investment decisions are not going to turn right. Equity in any form – Index, Mutual Fund, Insurance or Raw equity has its risks. Be conscious of it. Splitting your investible surplus into four parts and putting them in four different instruments all of which invest in equity is not having an risk hedged portfolio. Be involved in your investment decisions. Take responsibility for results. Learn from the feedback/failures. Understand the motive of any person selling you any financial product. There have been more ‘con’masters and uneducated experts in this industry than any other. Future ≠ Past. We use Past data to extrapolate into future. But these numbers just give one a false sense of comfort. Don’t blindly believe in excessively optimistic projections that tell you how the last 3 years have been and how it will be if that continues. Every asset has its ebb and flow in pricing, in the end it all levels up. If you are not early enough in the game, you are probably too late. Investment can only give you a return as a percentage of your investments. So focus on increasing your investible surplus, by increasing your income and keeping your expenses in control to fund your early retirement or other dreams you have. Understand the risks of draw downs (potential loss) in your investment and choose appropriate instrument. Use Independent consultants whose incentives are aligned with your to manage your funds. Investing is essential for a better future. When we have spent more than a decades of education to get a job, please be willing to spend some more time and money in educating yourself for your better financial future too. Your future depends on it. Fundamental analysis assumes that the value of a company can be reasonably determined despite several unknowns. It says, “Try to spot what others aren’t looking for”. Therein lies the problem. 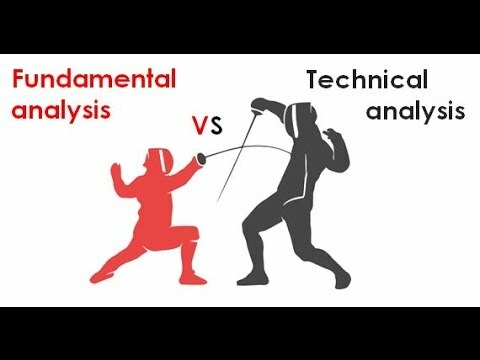 Technical analysis accepts that it doesn’t know any better and rather will concede that every story, every valuation and every move by smart money is reflected by the patterns shown by the movement of price. It says, “Follow what the smart ones are doing”.